For other uses, see Manipur (disambiguation). 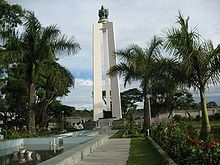 Manipur (/ˈmʌnɪpʊər/ ( listen)) is a state in northeastern India, with the city of Imphal as its capital. It is bounded by Nagaland to the north, Mizoram to the south, and Assam to the west; Burma (Myanmar) lies to its east. The state covers an area of 22,327 square kilometres (8,621 sq mi) and has a population of almost 3 million, including the Meitei, who are the majority group in the state, the Pangals or the Pangans (Manipuri Muslims), Kuki, and Naga people, who speak a variety of Sino-Tibetan languages. Manipur has been at the crossroads of Asian economic and cultural exchange for more than 2,500 years. It has long connected the Indian subcontinent to Southeast Asia, China (or East Asia), Siberia, Micronesia and Polynesia, enabling migration of people, cultures, and religions. 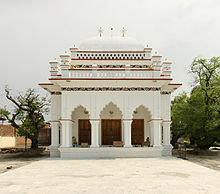 Wikimedia Commons has media related to Manipur.